Only 6 km from Sarlat, medieval city, the Domaine des Chenes Verts offers quality family holidays. 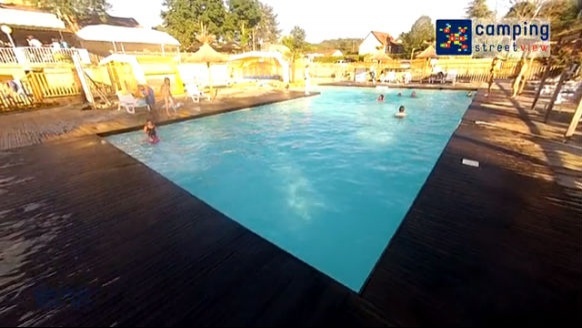 5 minutes from the river in the valley of the Dordogne, you can enjoy a wide space for relaxing in a gem of nature by taking advantage of these great green spaces, swimming pools with water slide, which an indoor heated from April to September. Discover the mini farm: goats, sheep, piglets, etc. ... You can have fun as you want, sport, recreation, activities for children, adolescents or adults, you can spend the holidays at your own pace. Une nuit seulement, lieu non défini, arrivée après 18h00, départ le lendemain avant 10h00. Beautiful, tranquil setting near to many tourist attractions. Very welcoming and friendly. Everything we needed. Comfortable bed with good quality linen. Well laid out kitchen area. Lovely shower room. Nice outside space. Parcelas sin sombra y poca cantidad de baños. Tener que hacer cola para i al baño o no tener donde ir mientras los están limpiando. Le bar qui n'est pas ouvert entre 12het 15h, on ne peut se payer un apéro ou des frites le midi. Et la piscine n'est pas assez chaude et à améliorer. Le bloc sanitaire et vestiaire à l'extérieur de la piscine be facilite pas l'usage surtout quand il fait froid. Assez grand et tres fonctionnel pour une famille avec 3 ados.